Are there any trees on your property that are sick, dead, or just in dangerous proximity to your home? Each year, many accidents occur that involve fallen trees or branches and this can be costly as well as dangerous for your family. If you are worried about this happening to you, it is important to have a professional visit your yard as soon as possible. For help with tree removal in Chatham, Amazing Tree Services has the professionals on staff to get the job done. At Amazing Tree Services, our main priority is to provide you with a quality service that is also safe and affordable. 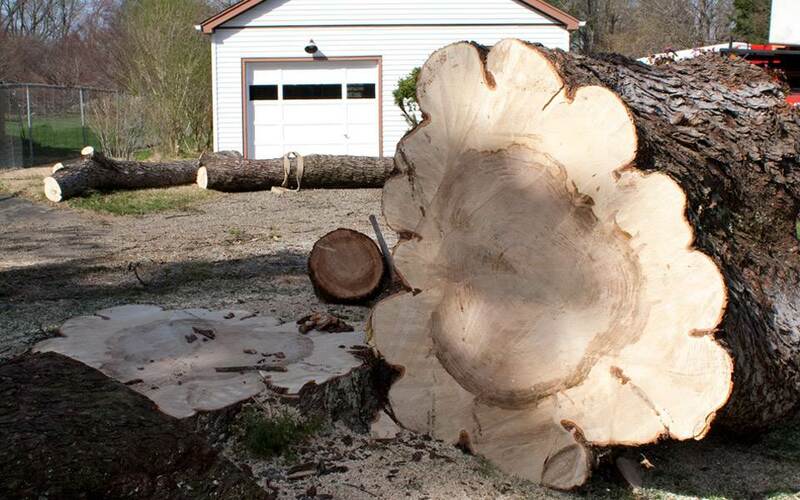 If done incorrectly, there is a lot that can go wrong with tree removal in Chatham. This is why it is important that you rely on our professionals who have been tending to New Jersey’s trees for many years. We offer free quotes and guarantee your 100% satisfaction with all of the services we offer. Whether your trees need pruning, trimming, or overall removal, our experts are up to the task and ready to help you out. To find out more about our Chatham tree removal services and to receive your free tree estimate, call Amazing Tree Services today at 973-343-6868. With all of the storms that we have had these past few months, many people now have broken or uprooted trees laying across their yards. Are you one of them? If so, now is the time to get them removed so that your grass grows thick and evenly in the spring. Amazing Tree Services is a company that provides tree removal in Madison as well as many other tree services. 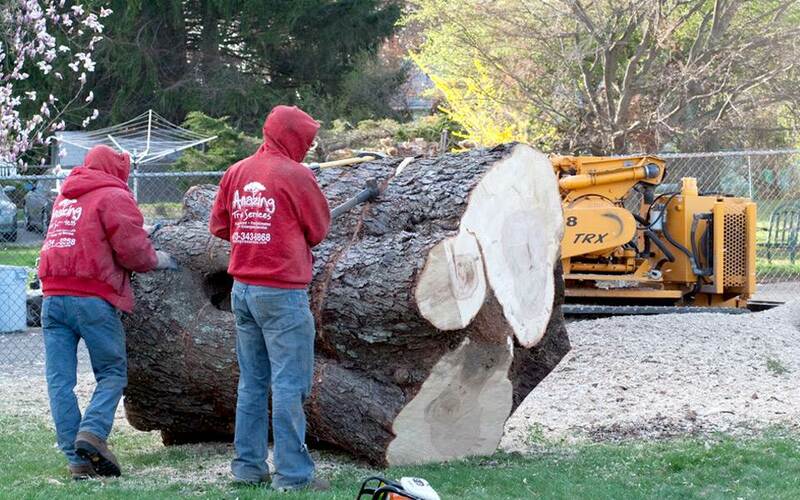 Our expert technicians are great at removing trees in Madison of any size, large or small. Whether a tree has fallen or died, removal is a necessary service. It can be dangerous to leave a dead tree still standing. If and when it finally does fall, it may damage property or, even worse, hurt someone nearby. 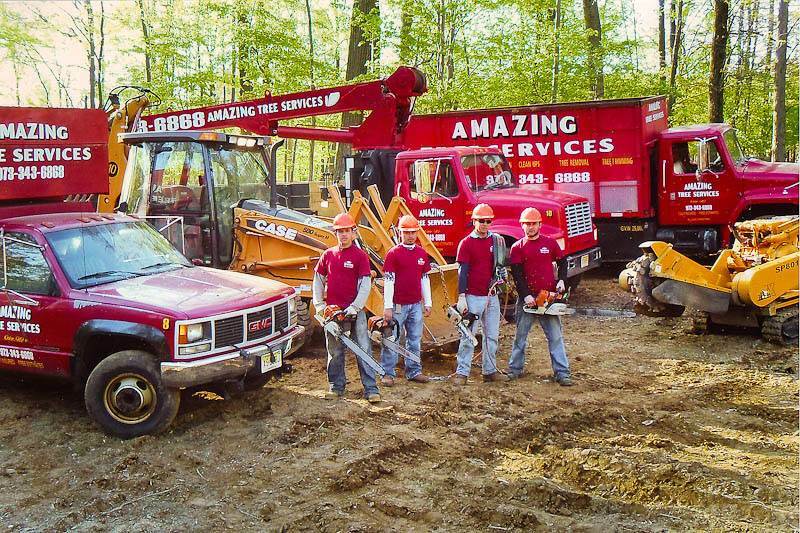 Amazing Tree Services owns all of our own vehicles and equipment. This allows us to charge less since we do not need to pay for any rental fees. We are a fully licensed and insured tree company, and guarantee all of our customers full satisfaction. We will completely clean up your yard when we are finished. If you desire firewood or wood chips, we will leave behind any wood when we are done. We also provide full tree services including trimming, pruning, and stump grinding. For more information on any of these tree services or Madison tree removal, call 973-343-6868 to talk to a tree removal expert. You can do a lot on your own to maintain your property’s appearance. Mowing the lawn, trimming the hedges, and watering the flowers are all within any homeowner’s abilities to carry out. However, there are other tasks that are more dangerous, but still necessary for the safety and aesthetic appeal of your home. One such example is trimming, pruning, or removing any trees on your property. It is not suggested that someone without experience climb up there to do anything and that is why Amazing Tree Services in NJ is ready to help homeowners. At Amazing Tree Services, we promise to always work to serve the best interests of your family as well as the trees. Before doing any cutting or grinding, we always make sure to do a thorough diagnosis of the situation. This attention to detail helps us decide on the best course of action and will ultimately benefit you more. We guarantee 100% satisfaction with all of our NJ tree services and will even offer free quotes before doing any work. The trees in your yard can be beautiful additions to your property, but they will sometimes need maintenance too. Let us take care of that, so you do not have to put yourself in any danger. To learn more about our tree service in New Jersey and to receive your free quote, call Amazing Tree Services today at 973-343-6868. If you require any tree services in Essex County, Amazing Tree Services is the right company for you. Our highly skilled staff has all of the training and experience to provide any high quality tree services at an amazing price. We specialize in tree removal, trimming, pruning and stump grinding services. We own all of our own equipment and vehicles. This allows lower rates for our Essex County tree services, since we do not have to pay rental fees. Vehicles include our trucks and cranes which we not only use to perform tree work, but also snow plowing and many other crane related services. After all of the recent storms, many trees have been uprooted and knocked down. Not only is it dangerous to leave loose trees around your property, but you do not want people to see your otherwise beautiful yard all cluttered. We offer a variety of tree trimming and tree pruning services. If you have broken branches dangling from your tree, it could be hazardous to the people and vehicles below. We can trim and remove any of these problematic branches with ease. You are welcome to keep any of the wood or wood chips that we make. No matter what type of services for Essex County trees need to be done around your house, Amazing Tree Services knows the best and most efficient ways to handle them. For more information on any of our services, call us at 973-343-6868. Your trees’ branches can grow out very wildly and cause them to become unruly. If this has occurred in your yard, then you need tree pruning in NJ. 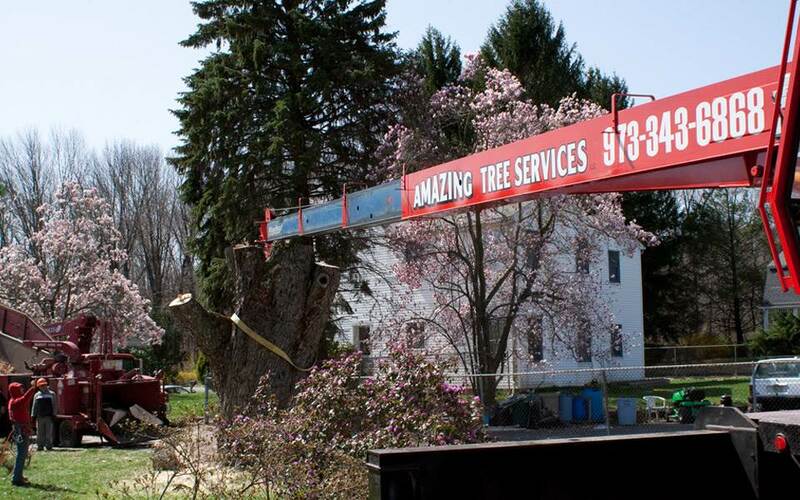 Amazing Tree Services is a Northern New Jersey tree company that is comprised of a staff highly experienced in all tree services. We are experts at tree pruning and trimming in particular. Pruning trees in NJ involves a number of tree trimming services that decrease the size of your tree’s canopy. This not only makes your tree look better, but has an effect on your lawn’s health. By pruning leaves and branches, you are also controlling the amount of light that your lawn receives. You will control which areas of your yard get sun and which get shade. Amazing Tree Services will provide any tree work that is required and also specialize in tree removal and stump grinding. Many people leave dead stumps in their yard. We can easily grind them to pulp. We will leave any firewood or chips for your disposal if requested. 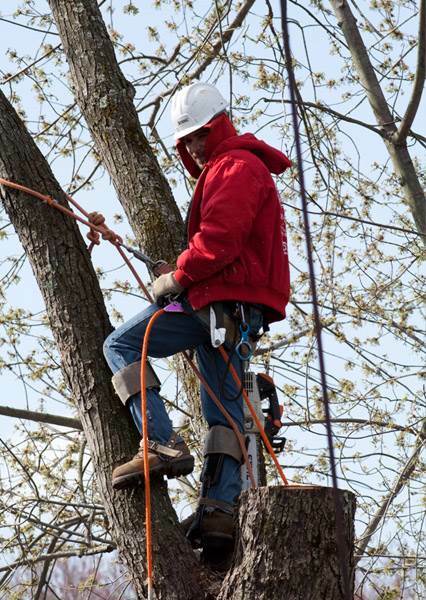 For more information on tree pruning in NJ or any of our other services, call us at 973-343-6868.